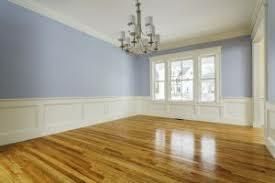 A wooden floor has a beautiful rustic appeal in interior design; however, it needs specific maintenance and cleaning. 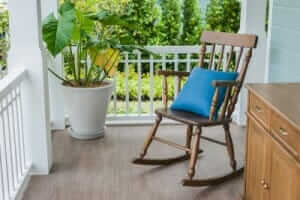 This is why wood look or wood-style ceramic tiles are starting to become a preferred new element in flooring. 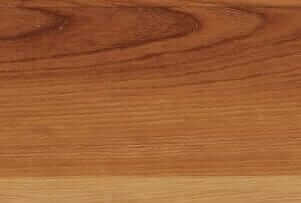 It’s one way to get the beautiful wooden aesthetic with the durability of tile especially enjoyed on kitchen floors. If you’re looking for the right way to install those ceramic wood-style tiles, we’ve got you covered. In these sections below, we’ve outlined the things you’ll need to get started, basic portions to set-up and of course, how to get those tiles installed properly. ​Having a plan and understanding the layering process helps ensure optimization of your materials and effort. Installing wood-look tiles doesn’t mean simply piling them unto the floor like pieces of Lego. So, here are a few things to review before you get started. 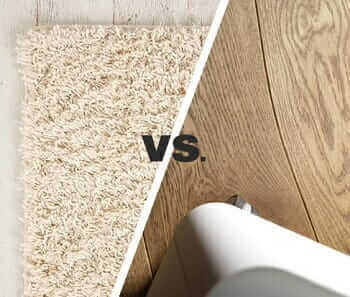 First is the subfloor, the bottom layer that supports your flooring’s moisture, thickness and durability. 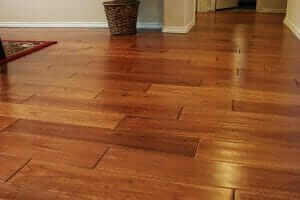 When clearing the subfloor also check for your Vinyl’s manufacture date. If it’s older 1986 then it’s best to get a professional to test it for asbestos and remove it. Next is a layer of thin-set mortar, which acts as an adhesive between layers. A layer of substrate follows this, which helps ensure the surface for installation is flat and even. For this project, the best option is either an uncoupling membrane or a cement backerboard. Your layer of tiles then follows, lined and laid out according to your floor area. Then a layer of grout covers the tiles to fill-in pores and spaces absorbing and protecting bottom layers from moisture. Then finally, a sealer covers the laid flooring as a final layer of protection. After you get the measurement of the floor to be covered, add 10% more to this measurement. This would then be your basis for the total tiles in square feet you would need to prepare. This extra amount accounts for any possible mishaps or damages as well as tiles to cut for corners and ends. If you’re using multiple batches of tiles, you may notice slight differences in patterns and color. To make sure patterns finish cleanly, it’s best to mix tiles between boxes as you lay them down. If you’re using plank tiles, you may want to consider laying their length to the length of the room. The patterns tend to fit better this way with the length of the plank’s pattern running through the long part of the room. Each product/mix comes with specific instruction for preparation, mixing, application and drying. You’ll find this in particular to sealants, cleansers and mortar mixes. Devise a plan that allows you to follow an installation path allowing space for walking space outside curing areas. This means you don’t touch or walk on the areas you’re waiting to dry or cure while you work on the rest. Include clearance and toe kick measurements in you installation plan. You’ll want to ensure you have clearance enough space for appliances like your fridge, trash compactor, and slide-in range. and dishwasher. Clear out your working space from top to bottom. This means moving out fixtures and appliances as well as stripping off base molding. Clear out the subfloor. You can do this by cutting the old vinyl in small pieces and lifting it from the subfloor. Using a scraper and adhesive remover helps make it easier to remove the old vinyl adhesive. Inspect the subfloor space from above and below (basement) and make sure it’s in good condition. A good condition subfloor should be even in proper thickness and leveled. It should also be dry and clear of stains or dirt. Meanwhile, wooden subfloors need to have well-jolted panels to the flooring. Take note and resolve any damages, stains, and plumbing concerns that affecting the subfloor’s condition. Check on your substrate conditions for its specific requirement for thickness and compare this to your subfloor. Though generally, a 5/8 inch thick subfloor is thick enough to support 16” spaced floor joists. You can check your subfloor’s current thickness by drilling a small hole or using the floor register for the depth measurement. Depending on your current subfloor’s thickness vs. the requirement, you can increase thickness by layering another plywood or OSB (Oriented Standard Board). Check for leveling, the subfloor must be evenly surfaced. This means making sure the whole surface is flat with no lumps or bumps though not necessarily completely level. The floor area may be slanted with one area higher than the other may. Using a long spirit level, check for the discrepancies in level and correct these to the right level. You can use a leveling compound to increase height and you can sand down areas that may be too low. 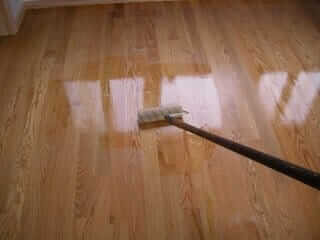 Clean up the subfloor with a mop and vacuum then let it dry. Make sure your doorjamb and door clearance accommodates the height of your flooring. Simply stack a tile on top of a piece of substrate and mark its height on the jamb and your door. Cut the jamb 1/16 inch above the jamb mark using a saw. Then cut 1/8 inch above your mark for the door. Lay out a roll of uncoupling membrane on your subfloor (according to your work plan). Make sure to measure in a 1/4 inch perimeter gap for the expansion as you cut to your floor length. Set this aside. Check your substrate requirement for the trowel to be used, and prepare your tool. This project used a 1/4 inch by 3/16 inched notched trowel. Following product instructions, prepare a mix of latex Portland cement and mortar. With the flat end of a trowel, spread the mortar mix on your work area then comb it over to form straight lines. Lay the membrane on the mortared area and use a float to press it for adhesion. Don’t forget to keep a 1/4 inch expansion gap. Following the same steps (1-6) and your installation plan, fill in the remaining area with membrane accordingly. When working with a kitchen area, make sure to waterproof creases and seams. So, use a mixture of unmodified thinset mortar following product instructions. Then spread this over seams. Take and cut waterproofing bands and press it against the mortar. Cut out any area with floor registers for vents or heating. Let the thinset and mortar dry and cure following product instructions. Do not stagger the joints for more than a third of the tile’s length. Anything wider can end-up in lippage or uneven height between tiles. Note that longer plank tiles tend to have crowned midsection. Use a wet sponge to wipe out excess mortar as you press tiles. This helps make sure you have a clean finish. Work with a couple of rows at time to give you room to adjust placement and ensure proper adhesion. Identify the center of each opposing wall and draw a line to connect them using a chalk line, making a square cross on the area. This helps you mark the center of the room as well as divide the work area into four areas. The same is applicable to other areas of the room with opposing walls. Use a hairspray to keep the chalk mark from rubbing off or being blown away. Mark your starting line by measuring the center of the cross up to starting wall and deduct the ¼ inch from this measurement. Then deduct the width size of two tiles and two tile spacers. Using the same measurements, mark the other end of the starting wall and connect the ends with a line. Make sure the lines are straight and use a triangular ruler to check if the corners are square. Layout your tiles and spacers on the floor without adhesive (dry layout). This will help you see how tiles line up across your starting line and your perimeter. You may need narrower tiles in the perimeter area or adjust the layout according to what looks best. Adjust the layout and your starting line as needed for the best finish and layout of your tiles. Secure your starting line using a straightedge held down with the weight of heavy bags of mortar and grout. This way, you can make sure to hold a straight edge as you layout tiles along this row. Meanwhile, following product instructions, prepare a mixture of unmodified thinset mortar specific for large-format tiles. A good mixture will render a peanut-butter consistency. Start with a small area first along the length of the straightedge. Spread a first layer of mortar making sure to press it in the membrane’s cavities. Add another layer of mortar. Then, holding a notched trowel at a 450 angle, start combing a 1/2 inch by 1/2 inch ridges. Make sure ridges are straight and not swirled. Spread a back butter of mortar on the back of your tile and lay it out on the mortar. Properly applying back butter on your tile is important for good and even adhesion. As you apply the tile, press it while twisting it down into the mortar aligned to the straightedge. The pressure should flatten the mortar ridges you created with the trowel. Continue laying out rows of tiles and 1/8 inch tile spacers. Complete a couple of rows before working on the other side of the straightedge. You can also start laying out tiles against the opposite side of the straight edge towards the wall. Install the tile edge trim or transitions to the doorways. Make sure to do this while over a wet thinset. Let the mortar cure following the product instructions. Finish by applying a layer of tile sealer according to product instructions. Prepare your grout mixture following the product instructions. Ideally, it should have a pastey consistency. Apply the grout into the joints pressing it with a rubber float. Pull the float in a diagonal motion across the joints removing any excess grout as you go. Remember not to go over the expansion gaps. Let it sit for 20 to 30 minutes. Use a haze remover to clean-up residues. Leave the floor to dry and cure further for at least 24 hours and allow the grout to dry. Do not touch or walk over the completed tile area. Clear the perimeter’s expansion gap off tile spacers and fill this with silicon sealant. Rub on grout sealer on the grout lines. This will help avoid stains. Reinstall moulding and other details initially cleared from your room.